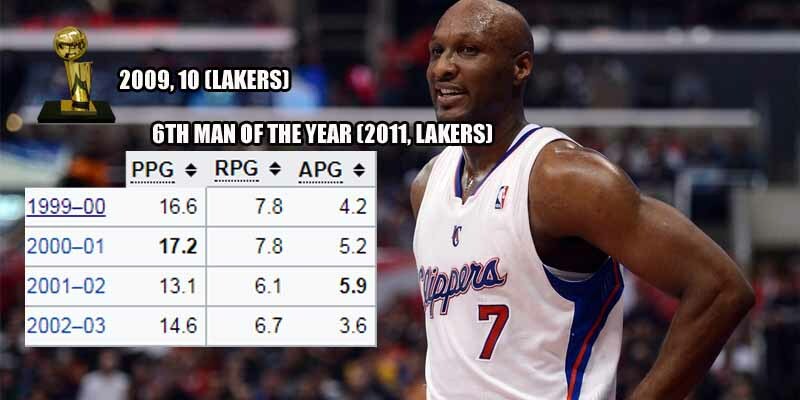 The Los Angeles Clippers have been less than stellar for most of their history and there are not a lot of players to choose from, but Lamar Odom’s first four years weren’t bad at all. He averaged 16.6 points, 7.8 boards and 4.2 assists in his debut 1999-2000 season, making him a serious candidate for Rookie Of The Year with that versatility. His stats for the other 3 seasons with the Clippers remained in the same ballpark, making him a solid combo forward who could even run the point and not hurt the team too much.